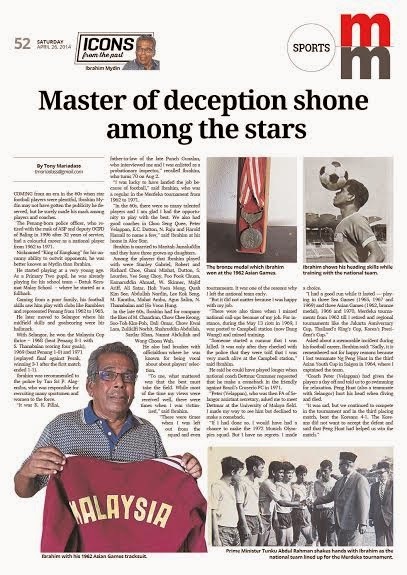 COMING from an era in the 60s when star football players were plentiful, Ibrahim Mydin, may not have gotten the publicity he deserved, but he surely made his mark among players and coaches. The Penang-born former police officer who retired with the rank of ASP and deputy OCPD of Baling in 1996 after 32 years of service, indeed had a colourful footballer career as a national player from 1962 to 1971. Nicknamed “King of Kangkang” (nutmeg), for his uncanny ability to outwit opponents, he was better known as Mydin than Ibrahim. Ibrahim started playing at a very young age as a Standard Two pupil he was already playing for his school team – Datuk Keramat Malay School – where he started off as a fullback. Coming from a poor family, his football skills saw him playing with clubs like Ramblers before making the Penang team in 1962 till 1965 before moving to Selangor where his midfield skills and goal scoring goals in crucial match winning goals was his hallmark. With Selangor he won the Malaysia Cup thrice – 1968 (beat his former state Penang 8-1 where S. Thanbalan scored four goals), 1969 (beat Penang 1-0) and 1971 (replayed final against Perak winning 3-1 after the first match ended 1-1). 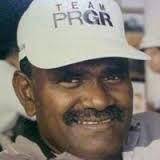 Ibrahim was recommended to the police force by none other Tan Sri P. Alagendra who was in the Police and was responsible for recruiting many sportsmen and women. “It was K. K. Pillai, the father-in-law of late Punch Gunalan, who interviewed me and I was enlisted as a probationary inspector,” recalled Ibrahim who turns 70 on August 2. “I was indeed lucky to have landed the job and it was because of football,” said Mydin who was regular in the Merdeka tournament from 1962 to 1971. “In the 60s, there were simply so many talented players and I am glad that I had the opportunity to play among the best. We also had good coaches in Choo Seng Quee, Peter Velappan, E.C. Dutton, N. Raju and Harold Hassall to name a few,” said Ibrahim during the interview at his home in Alor Setar with his wife Masitah Jamaluddin listening attentively. Ibrahim has three grown up daughters. Among the players that Ibrahim played include Stanley Gabriel, Robert and Richrd Choe, Ghani Minhat, Dutton, S. Lourdes, Yee Seng Choy, Foo Fook Chuan, Kamaruddin Ahmad, W. Skinner, Majid Ariff, Ali Satar, Hoh Yuen Meng, Quah Kim See, Abdullah Nordin, Lee Kok Seng, M. Karathu, Mahat Ambu, Agus Salim, N. Thanabalan and Ho Voon Hung. 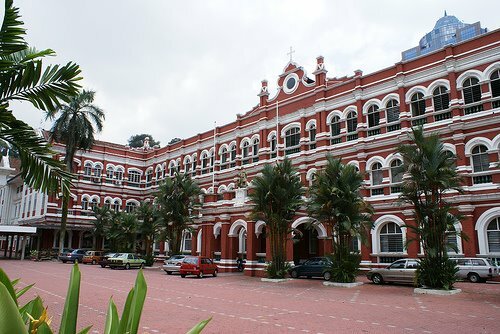 In the later part of the 60s Ibrahim had for company the likes M. Chandran, Chow Chee Keong, Soo-Toh-Kim-Poh, Dali Omar, Chow Kwai Lam, Zulikilfi Norbit, Shahruddin Abdullah, Sardar Khan, Namat Abdullah and Wong Choon Wah. Ibrahim had his brushes with officialdom where he known for being vocal about his feelings about players’ selection. “To me, what mattered was that the best must take the field. But sometimes it was not the case and I made my feelings known. While most of the time, my views were received well, there were times I was victimised,” said Ibrahim who bears no grudges against the officials or coaches. “It did not matter to me if I was left out, but when I see my teammates who deserve a chance to play left out, I made my views heard. “There were times when I was left out from the squad and even for tournaments. It was one of the reason, why I left the national team early. I could have played a few years. “But it did not matter because I had a job and I was happy with that. “There were also times I missed national call-ups because of my job. For instance during the May 13 in 1969, I was posted to Campbell station (Dang Wangi) now and missed training. “Since I was missing for training, someone spread a rumour that I was killed. It was only after they checked with the Police Force, that they were told that I was very a much alive and in duty in Campbell,” laughed Ibrahim. But Ibrahim said he choose to quit the national team early. “I could have continued to play longer when German coach Dettmar Crammer who was asked to coach the Malaysian team which played a friendly against Brazil’s Cruzerio FC, had requested me to make a comeback in 1971. 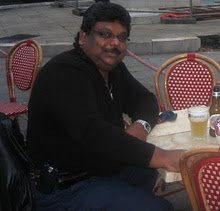 “Peter (Velappan) who was then assistant secretary of FA of Selangor got in touch with me and asked to meet Dettmar who was training the national team at University Malaya. I made my way to see him and he requested to make a comeback. But I declined. Asked about one incident he remembers well till now, he said: “Sadly, it is remembered not for good reasons because I lost a teammate Ng Peng Huat in the third Asian Youth Cup he competed in 1964 in Saigon where I captained the team. 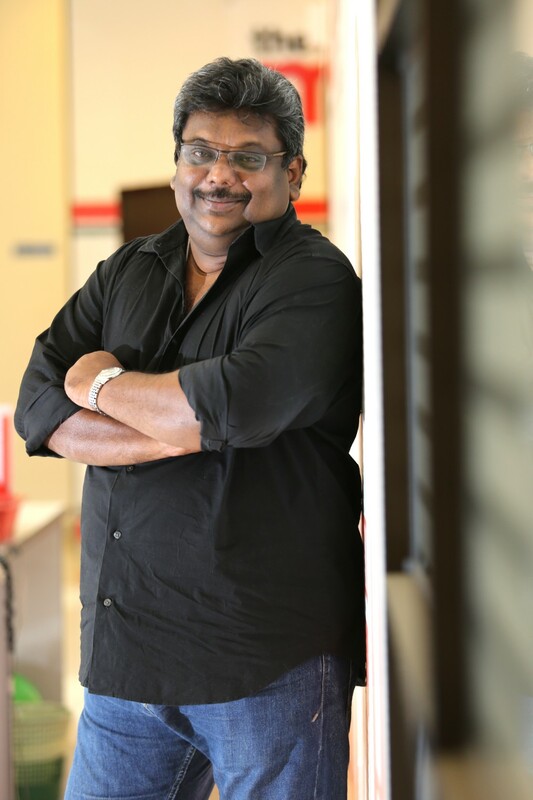 “Coach Peter (Velappan) had given the players a day off and told us to go swimming for relaxation. Peng Huat (also teammate with Selangor) hurt his head when diving and died. IT has been two decades since the Malaysian League (M-League) went fully professional after having been semi-pro from 1989 to 1993. However, stadium management, security control, marketing and field management have hardly reached a state of satisfaction. Except for the Tan Sri Hassan Yunos Stadium, aka Larkin Stadium, that underwent a major facelift this season, many of the new stadiums, including the National Stadium, are nowhere near top quality. The pitches are badly maintained while the stadiums are in poor shape, hardly befitting the professional status of the M-League. It comes as no surprise that many foreign teams that have come to play friendly matches in Malaysia have complained about our football pitches. One team, Barcelona, even refused to play at the National Stadium at the eleventh hour and played at the Shah Alam Stadium instead. When Malaysia was picked to host the 1997 World Youth Cup, FIFA gave its approval to the pitch quality and facilities at the stadiums in Kuching, Kuantan, Johor Baru, Alor Setar, Kangar and Shah Alam. However, the condition of the stadiums in most of these venues has deteriorated because of poor management, which is a crying shame. At the time, Perak Stadium failed to be approved for the tournament because of poor pitch conditions. Having witnessed two Premier League matches at the Goodison Park Stadium last week, where Everton played Crystal Palace and Manchester United, I was mesmerised by the 44,000-capacity stadium and the way it is managed. Everton FC is one of the oldest club in English football with just average capacity and facilities compared with those of the newer and bigger clubs. But the way it manages its football pitch, security on match days, the sale of tickets and seating arrangements (despite the cramped stadium) is simply excellent, not to mention the ever-friendly and helpful stewards. Groundsmen at Everton FC rolling the pitch immediately after the final whistle against Manchester United, April 20, 2013. Many of our football clubs will do well to learn a thing or two from Everton FC on how to manage their stadiums. Despite being located in a residential area, like most stadiums in England, the traffic and crowd management was par excellence on the match days. Besides, the police on duty had a horse unit assisting the club’s stewards. Both the matches I watched drew capacity crowds and there was hardly any sign of trouble as fans moved into the stadium in an orderly fashion and in just 15 minutes after the game, the stadium had cleared and locked up. The club’s security stewards inside the stadium were not intimidating but firm in handling the crowds. There were stewards on the terraces to guide the fans to their seats and also to ensure that there was order. There was also CCTV around the stadium to monitor any signs of crowd trouble or misbehaviour. Opposing fans from Crystal Palace and Manchester United were only given a maximum of 2,000 tickets to keep them manageable while extra security was placed on their terraces. There was definitely no throwing of flares onto the pitch, which is fast becoming a fad in Malaysia, as fans from both teams cheered their respective teams in a sporting manner and at times when rivalry set in, they exchanged friendly banter in the spirit of the game. Despite the tight seating conditions, I certainly enjoyed both matches and was impressed at the way they ended incident-free especially the match against Manchester United when David Moyes was returning to Goodison Park for the first time after having left Everton this season after spending eleven years with the Evertonians. Preparations for the matches involved the groundsmen painstakingly replacing grass that had come off during the warmups or after the first half. But what surprised me were the robot-like rollers manned by groundsmen coming onto the field immediately after the final whistle. As the fans were making their way out of the stadium, work had already began to prepare the pitch for the next match – that is efficiency and professionalism at the highest level. While making my way out of the stadium, I could not help but think of the situation in Malaysian football. I remember thinking the same thoughts after having watched other league matches in England previously, including after the UEFA Euro 1996. Is it too much to ask for the same thing here or must I resign myself to the fact that Malaysian football administrators are simply not good enough to make the game what it is supposed to be — professional to the core. 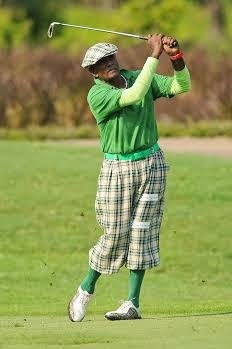 V. NELLAN has been playing golf for more than half a decade and is still going strong. The former national golfer who turns 65 on Sept 30 is the professional at the Saujana Golf and Country Club in Subang, their coach and ambassador, and gives courses besides playing rounds of golf. Nellan, who has the distinction of having played in two World Cups in 1976 (Palm Springs partnering Zainal Abidin and finishing 32nd) and 1977 (the Philippines partnering Bobby Lim) where he also recorded Malaysia’s best finish in the championship to date – 11th. Walk into Saujana and you will not miss this bubbly person who is ever-ready to strike up a conversation with you and talk about golf for hours. He certainly must be the longest living person to have been involved in the game in Malaysia – he started playing as a caddy at the age of 13 at the Royal Selangor Golf Club (RSGC). Nellan eats, breathes and sleeps golf because his parents were the ground maintenance staff at RSGC and lived in the staff quarters on the fringes of the 18th hole. He started caddying when he was seven to earn pocket money for school when he was paid 50 cents. He dropped out of school at 15 just to play golf. At 13 (the minimum age required), he registered with the caddy club at RSGC and played golf every Sunday afternoon when the club dedicated the afternoon to the caddies to play their rounds for free. “Golf has been my whole life and it still is. I played in my first Malaysian Open in 1969 and the last in 1989, but I have not missed watching a Malaysian Open since the first in 1962 when it was held in RSGC and I was the scorekeeper. Even when it moved to other venues, I have made it a point to be there to witness the event,” said Nellan, who will at the Maybank Malaysian Open at the Kuala Lumpur Golf and Country Club this week too. Nellan, who recorded his first win in a championship when he won the caddies championship in 1967 and defended it the next year, has indeed had an illustrious career playing in tournaments all over the world on the finest golf courses some can only dream of and playing with golfers like Seve Ballesteros, Greg Norman and Bernard Langer, to name a few. “But it did not come easy. It was my love for the game and sacrifices I was willing to make that kept me in the game,” said Nellan, whose best finish in the Malaysian Open was in 1974 in Ipoh when the tournament was first held outside the Klang Valley. He finished 32nd. “I saved RM336 to travel to Ipoh to play in the Malaysian Open and bunked at Bobby’s house. Luckily, I won RM775 to have money to come back home,” laughed Neelan. He last represented the nation in 2004, but since then he has been coaching, giving courses and being resident pro in several golf courses, both in Malaysia and Singapore. He still plays competitive golf and took part in the CIMB Classics qualifiers in the last two years. He has won the PGA championship in 1987 and also Masters Senior Classic in 2001. Even major surgery to remove a growth in the colon in 2006, which left him out in the cold for almost four years, did not stop him from getting back into the action. One day, while still recovering from his surgery, he told his son he wanted to play in the Singapore Open and drove to play the next day. “I nearly killed myself doing that although I completed the competition. But that is how much I love golf. I recovered and I am back on the course again,” said Neelan, minus his famous moustache. “Life has been good to me. I have been given extra time to live and I want to give back to golf what it has given me,” he said. Neelan also survived the Dec 18, 1983, crash of flight MH684 from Singapore. The plane landed 2km short of the runway at the Subang airport. Neelan his wife and daughter, and a few more golfers, including M. Ramayah, were returning from a tournament when the Airbus 300-B4 in heavy rain clipped some trees on its descent before the landing gear struck the ground. There were no fatalities, but the plane was damaged beyond repair. Thinking about the crash, Neelan said he prays and hopes every day that the passengers of MH370 will miraculously return home safely. On the current Malaysian golf scene, Nellan has much to say, but said that it has to be heard and implemented. “For starters, where are the public courses? Even the caddies these days do not have a chance to play. We need to make the game public and make the game available to all if we want to see good golfers emerging,” said Nellan passionately. “We need to have a resident school just for golf with a golf course so that school children interested in the game can take it up from young. “Our players need to play in many tournaments and be based overseas if they are to progress to the next level. At home we need to have tougher courses here for our players to improve. Neelan is still very much in demand and if everything works out, he could be hired to do some development programme in the US or Tanzania. A loss to Malaysia indeed. V. NELLAN has been playing golf for more than five decades and, despite his age, is still going strong. 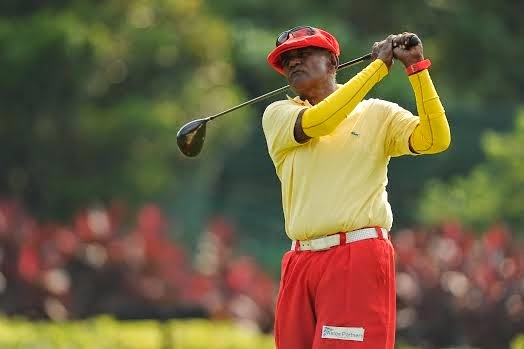 The former national golfer, who turns 65 on Sept 30, is the club professional at Saujana Golf and Country Club in Subang, and almost daily gets in a round of golf. Nellan, who has the distinction of having represented Malaysia in two World Cup of Golf — in 1976 (Palm Springs partnering Zainal Abidin and finishing 32nd) and 1977 (in the Philippines) , where he and Bobby Lim recorded Malaysia’s best ever finish of 11th in the championship to date. Walk into Saujana and you will not miss this bubbly person, who is ever ready to strike up a conversation with you and talk about golf for hours. He certainly must be the longest living person to have been involved in the game in Malaysia, having started playing as a caddy at the age of 13 at the Royal Selangor Golf Club (RSGC). Nellan eats, breathes and sleeps golf because his parents were the ground maintenance staff at RSGC and they lived in the staff quarters on the fringes of the 18th hole. He started caddying when he was seven to earn pocket money for school, usually being paid 50 cents for his services. He dropped out of school at 15 to concentrate on playing golf. At 13 (the minimum age required), he registered with the caddy club at RSGC and played golf every Sunday when the club dedicated the afternoon to the caddies to play their rounds for free. “Golf has been my whole life and it still is. I played in my first Malaysian Open in 1969 and the last in 1989, but I have not missed watching a Malaysian Open since the first in 1962, when it was held in RSGC and I was the scorekeeper. "Even when the Open moved to other venues, I made it a point to be there to witness the event,” said Nellan, who will be watching the Malaysian Open at the Kuala Lumpur Golf and Country Club this weekend. Nellan, who recorded his first title when he won the caddies championship in 1967 and defended it the next year, has indeed had an illustrious career, playing in tournaments all over the world on the finest golf courses and playing with golfers like Seve Ballesteros, Greg Norman and Bernard Langer, to name but a few. “But it did not come easy. My love for the game and sacrifices I was willing to make kept me in the game,” said Nellan, whose best finish in the Malaysian Open was 32nd when the tournament was held at the Royal Perak GC in Ipoh in 1974 — the first outside the Klang Valley. "I saved RM336 to travel to Ipoh to play in the Malaysian Open and bunked at Bobby’s house. Luckily, I won RM775 to have money to come back home,” laughed Neelan. He last represented the nation in 2004, but since then has been coaching, conducting golf courses and being resident pro at several golf courses, both in Malaysia and Singapore. He still plays competitive golf and took part in the CIMB Classics qualifiers in the last two years. Among his titles include the PGA championship in 1987 and Masters Senior Classic in 2001. Even major surgery to remove a growth in the colon in 2006, which left him out in the cold for almost four years, did not stop him from returning to the game. One day, while still recovering from his surgery, he told his son he wanted to play in the Singapore Open and drove across the causeway to play the next day. “I nearly killed myself doing that although I completed the competition. But that was how much I love golf. 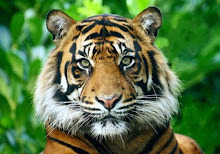 I recovered and I was back on the course again,” recalled Neelan. “But life has been good to me. I have been given extra time to live and I want to give back to golf what it has given me." Away from golf, Neelan has also had his moments of adventure. On Dec 18, 1983, he was among the survivors of flight MH684 from Singapore when the plane landed 2km short of the runway at Subang airport. Neelan, his wife and daughter, and fellow golfers, including M. Ramayah, were returning from a tournament when the Airbus 300-B4, flying in heavy rain, clipped some trees during its descent before the landing gear struck the ground. There were no fatalities, but the plane was damaged beyond repair. Recalling the crash, Neelan said he prays every day that the passengers of MH370 will miraculously return home safely. On the current Malaysian golf scene, Nellan said nothing much has been done for golf development to be taken seriously.